March News – Pray, Pray and Pray some more! 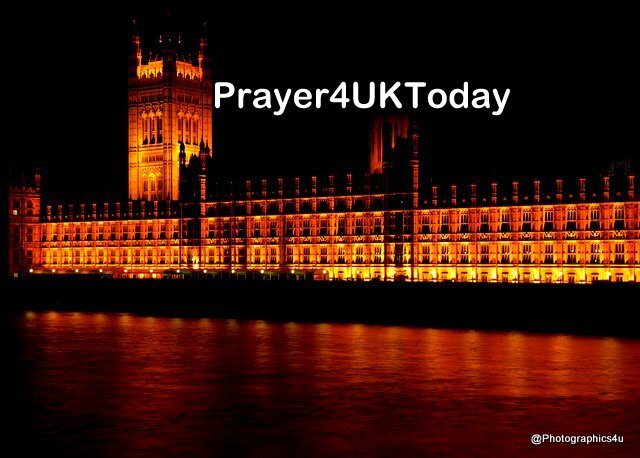 Most of you will be aware that this week has been called as a week of prayer for the nation by many organisations, and there will be prayer events across the country. If you are not able to get to one of these, I would like to encourage you to meet up with others who are like minded, and to pray in a small group. A few months ago I put out a post saying it was time to ‘Pray, Pray and Pray some more’. If time or distance is an issue, technology is a very useful tool for prayer – from telephones to Skype or conference call platforms such as Zoom. It is amazing how quickly you can get used to them! God is moving across nations at this time, and this battle is about birthing this land into a new season. God has a plan for this nation which goes far beyond Brexit, it is about His Kingdom values being established, and about the call He has upon the British Isles. If you don’t know how to pray about this, look back over some of the last Declarations to help you, the purpose of these is to fill the atmosphere with God’s word, values and plans, as well as to provide a basis for intercession. Every blessing to you all. We join Suzanne in thanking each and every one of you for joining us to pray for the Nation. It is very vital that we join together with others and pray that God’s perfect will be established and His Name Glorified in and through Brexit. If you are anywhere near Chichester today may we encourage you to join Alan & Glo Crook at the Swanfield Chapel, Swanfield Drive, Chichester PO19 6TD at 10 AM to pray for the Nation for one hour. Many thanks.